Do you ride offensively or defensively? We put the question to Motorcycle Mojo Magazine fans during a recent online chat session. Read what they’ve got to say — and add yours in the comments below. Mark K. Totally defensive. ATGATT and riding has made me an even more defensive car driver… I unfortunately know what it is like to be hit head on by a car that crossed a double solid line to over take a truck while riding my bike. Of course, the driver didn’t see me. It’s not a club anyone wants to be in. Darlene D. Defensive, I live in a city with cell phone obssessed texters and seniors who can’t see over the steering wheel and get their brake and gas pedals mixed up regularly. Suhaymath N. It varies depending on the situation, but definitely defensive for the most part. John A. I actually don’t ride much IN the city, just to get out to the countryside. 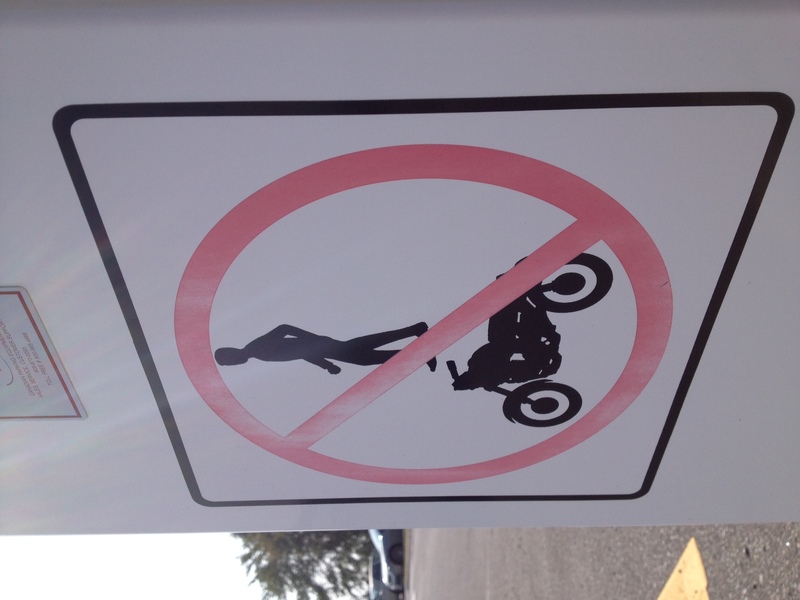 Orangeville and Milton have some great back roads and the people out there seem to respect riders. Kevin G. Without quibbling over semantics….it depends on the situation. Speed is not synonymous with recklessness and sometimes you have to use that advantage to accelerate away from ” trouble “. Brad G. I always try to anticipate what anyone near me is going to do so I’m not there when they do it. Works well. I am very defensive buyt once in a while offence is warranted. Mostro D. I must admit I always avoid to be surrounded by cars. But it is an habit that I had when riding in europe for many years. John T. both, you always have to be watching your backside, but still be aggressive enough to power out of certain situations. Shane S. Mostly free,but defense is always good..
Stephanie M. Always defensive! Only way to ride. Kathy B. Defensive if you consider being aware of your surroundings, traffic flow, and other situations that present themselves. I think that is the difference between riding and driving. Jeff S. Very defensive. I’ve also been known to be quite offensive at times. Liz J. It takes a mix. Defensive is good but sometimes you have to react quickly to get out of danger. 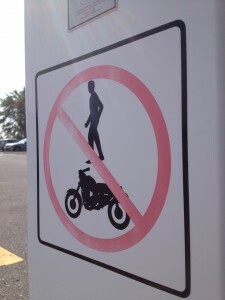 Daryl M. So this sign says – No stunting, especially hovering over a motorcycle? Danielle B. It’s a balance of both. Defensive. Always looking out for drivers and squids. Offensive: holding a position to claim your lane and deter others from entering it. Annie K. Defensive, for sure. But also maybe because I’m almost a beginner? Brian L. Best defense is a good offense. Noel H. Depends on the situation. You have to be careful though. Experience will be your guide. How do you ride and why?